Because nothing says Sunday afternoon baseball like a big inflatable slide. Rogers Centre With Kids, Tip #1) Do Jr. Jays Sundays. For the kids, the Jays have Jr. Jays Sundays (or Saturdays, it changes from year to year). Of late they’ve been setting up entire playgrounds on some Sundays, with big inflatable bouncy stuff and entertainment in the plaza outside Gates 10-11. Definitely get out there early for this…it’s a pretty big setup with games, food, people on stilts playing ball with the kids, etc. Don’t miss it…you might not see it coming from Union Station and you have to walk around the Centre a bit. 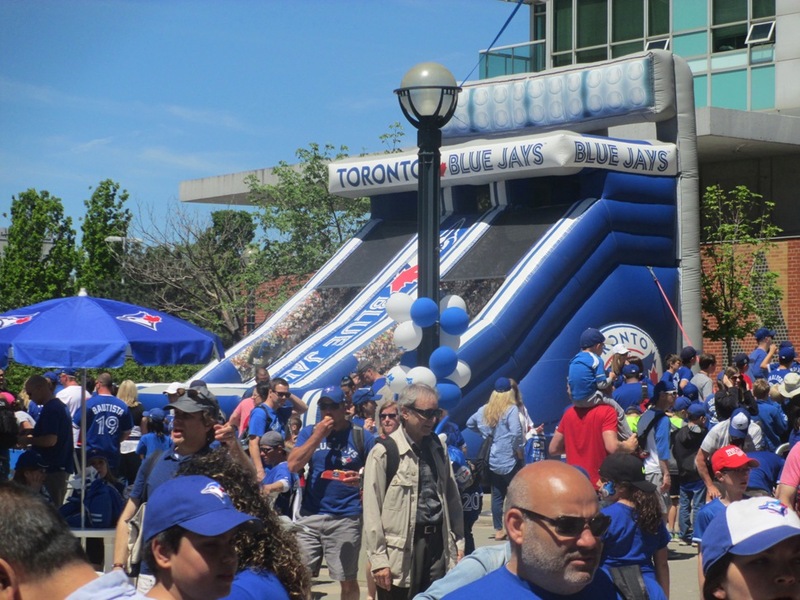 Inside the ballpark on Jr. Jays days, they have interactive kids’ areas throughout the concourses, pitching and batting cages, video games, face painting and other fun things to keep the kids occupied. What’s the team’s name again? 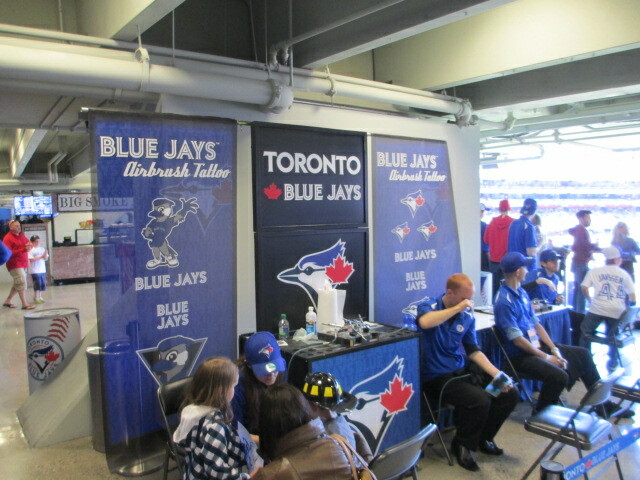 Rogers Centre With Kids, Tip #2) Join The Fan Club. 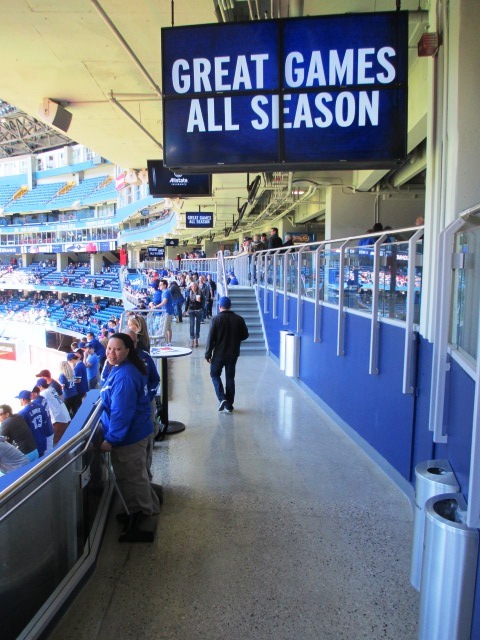 The Jr. Jays Kids Club doesn’t give deals on tickets like some teams do (Jays tickets are generally pretty cheap already), but as of 2019, you do get a package with a cap, a backpack, sunglasses, a lanyard, and access to members only events. If your kid is a big fan, it’s worth it, if only for the front of the line access on Run The Bases days. Lines get very long for that and the little ones may get antsy. 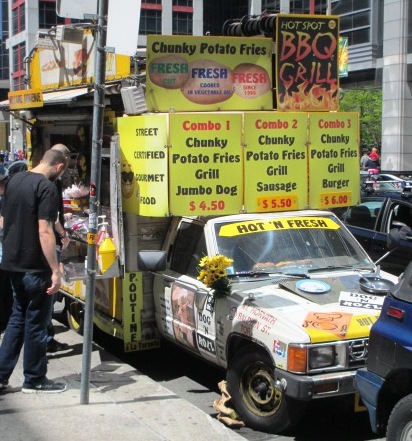 I’ve talked about the multiple “street meat” options here, but you also have lots of choices at Union Station to fill up your goody bag, including the always beloved by kids McDonald’s, if you’re arriving that way. There’s three tips for taking the young ones to Rogers Centre and teaching them about baseball for a better future. If you’re looking to save on tickets when you do, try this post.